Lately I make this or that vegetable cream soup every weekend. I like this kind of food, especially if they are made of vegetables only - cream or other thickeners make them a bit heavy for every day food. 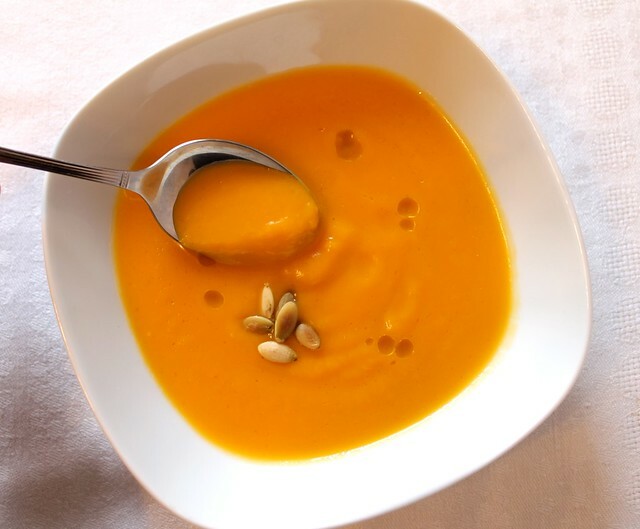 Many vegetables work well in them, but pumpkin and ginger is one of the most powerful combinations. 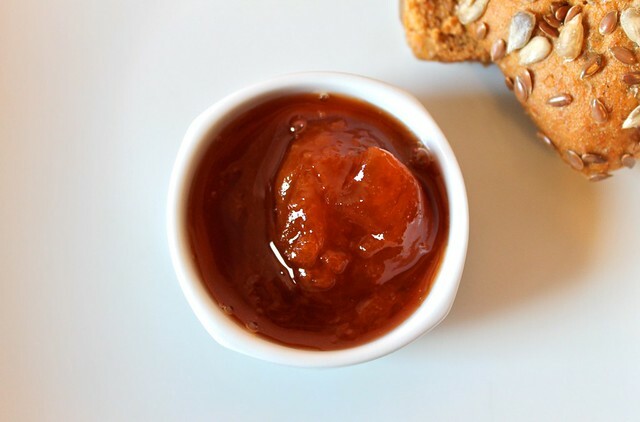 Apricot jam (varenie) is something we make at home every summer since I remember myself. I am a crazy apricot lover always waiting for the season to start after the long winter. However as soon as August is over apricots are gone again. The apricot jam is an attempt to keep them with me till the next summer and I must say it works. With its mind blowing aroma and deep flavor it's like little magic in a jar. Before our Catalan cooking class at the cook&taste Barcelona cooking studio we went to a Spanish chef guided tour around La Boqueria, the most famous Barcelona food market. La Boqueria is a place where one can find almost anything. Everybody seems to like it - city restaurants, home cooks, tourists - all shop there for ingredients, enjoy great tapas bars and the energetic buzz of its crowd. In my series of vegan muffins I had to come up with something savory sooner or later. My dad is especially fond of low sugar food, but everybody else also seems to enjoy savory cookies, pies etc. That's why quiches got so much traction with us. 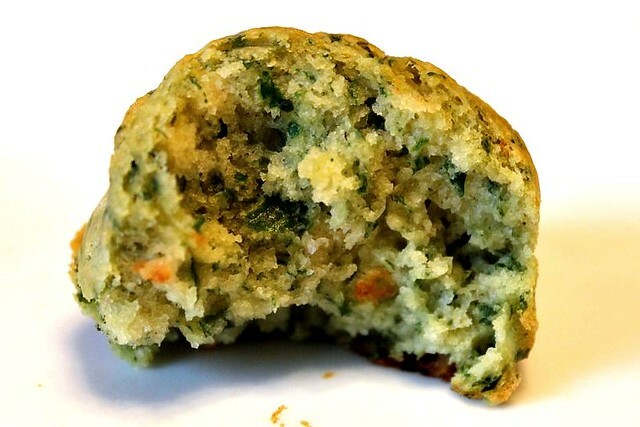 Anyhow one day I thought about something like pesto muffin. Intense green and with mind blowing basil aroma. I already said a lot about Elena Spirina, a Moscow food book writer and blogger. I can't help wondering how many different original and beautiful things Elena manages to do around food. Today I saw her once again in a completely new role - hosting a special brunch at Simple things (Простые вещи) Moscow gastropub and wine bar. One more brilliant thing I discovered during my last trip to Barcelona was the cook&taste cooking studio. I was looking to insert some cooking class in our trip and found them. Cook&taste offered a 3-4 hour class where we would be able to not only watch, but cook ourselves. The menu gathered the most internationally known dishes (gazpacho, tortilla, paella and crema catalana). At first I got worried - the menu looked somewhat "touristy" to me, but then I found that I shouldn't have. In addition to that there was a guided market tour available (at La Boqueria of course) - this was the last thing to drive me completely crazy about the class and I booked 2 seats. I spent this whole Saturday at the Food feast (Праздник Еды) - food festival, organized by Alexey Zimin and Afisha Eda magazine in Moscow for the first time this year. When I found about the event a week or two ago and looked through the agenda I was amazed. All day was filled up with master classes of some of the most interesting Moscow chefs - Ivan Shishkin of Delicatessen restaurant, Isaac Correa, Suki Maman of Upside down cake and Montalto pizza, Iyia Shalev of Ragout etc. as well as Alexey Zimin himself. I new I had to be there whatever happens.